Was 1356 the Greatest Year in European History? Back in 2012, I wrote a detailed article explaining that Europe became rich in part because Europe didn’t exist. 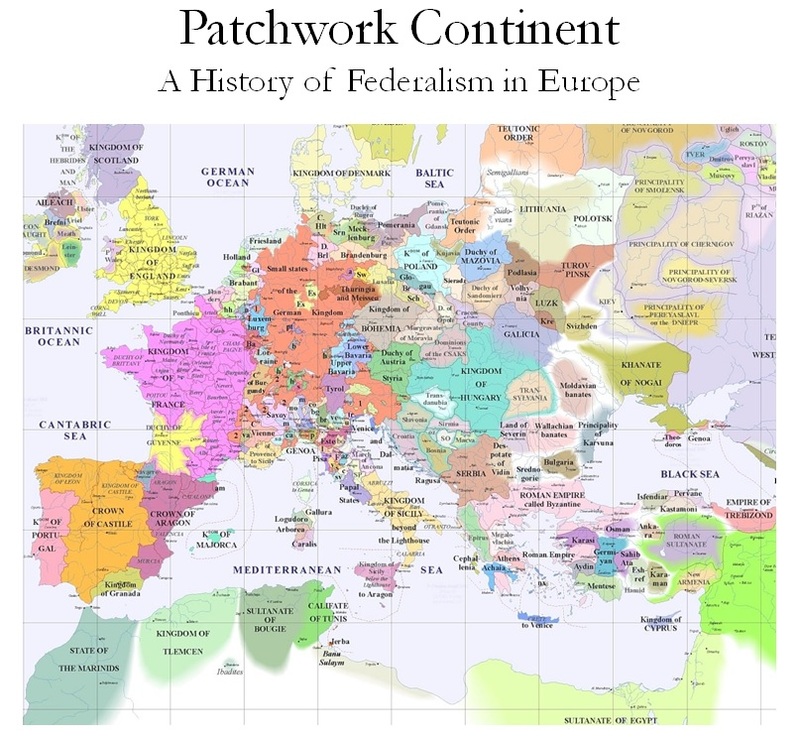 The geographic landmass of Europe existed, of course, but the continent was characterized by massive political fragmentation. And this absence of centralized authority, many scholars concluded, meant lots of inter-government rivalry, a process that gave the private economy room to prosper. Europe benefited from decentralization and jurisdictional competition. More specifically, governments were forced to adopt better policies because labor and capital had significant ability to cross borders in search of less oppression. …the intellectual history of this issue is enormous, and the common theme is that big, centralized states hinder development. …sovereignty should be celebrated. Not because national governments are good, but because competition between governments is the best protector of liberty and civilization. …promotion of better tax policy is just the tip of the iceberg. I mention this because I’m currently in Maastricht, a city in the Netherlands that is (in)famous for hosting the meeting that led to the creation of the European Union. Clemens is with the Prometheus Institute, a German think tank, and he discussed how federalism was critical to Europe’s development. What made his presentation especially fascinating is that he suggested that 1356 was a very important year in the history of Europe. Clemens based his claim on two historical events that advanced the principles of decentralization and federalism. First, he cited the “Golden Bull” of 1356. What’s that, you ask? Wikipedia gives us the details about this remarkable development in the history of the Holy Roman Empire. 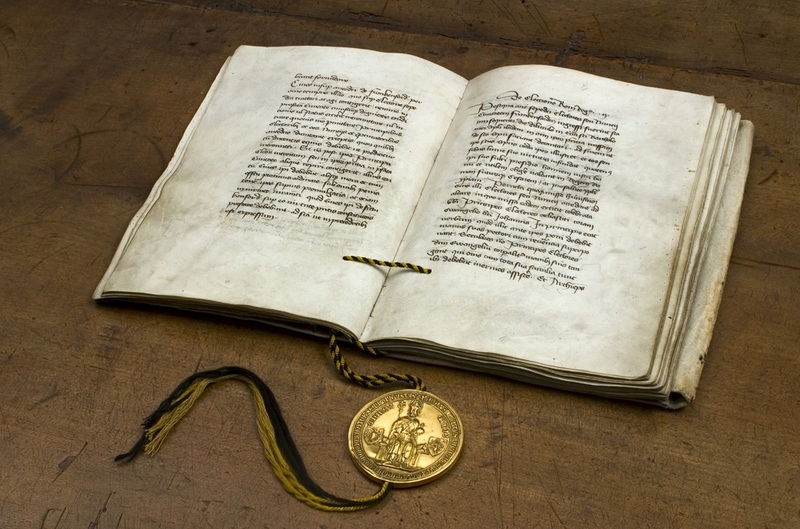 The Golden Bull of 1356 was a decree issued by the Imperial Diet at Nuremberg and Metz (Diet of Metz (1356/57)) headed by the Emperor Charles IV which fixed, for a period of more than four hundred years, important aspects of the constitutional structure of the Holy Roman Empire. It was named the Golden Bull for the golden seal it carried. …the Bull cemented a number of privileges for the Electors, confirming their elevated role in the Empire. It is therefore also a milestone in the establishment of largely independent states in the Empire, a process to be concluded only centuries later, notably with the Peace of Westphalia of 1648. In other words, what was important about the Golden Bull is that signified that the Holy Roman Empire no longer was an Empire. Instead, independent (and competing) principalities became the defining feature of European polity. Second, he cited the creation of the Hanseatic League in the same year. Once again, Wikipedia has a good description. 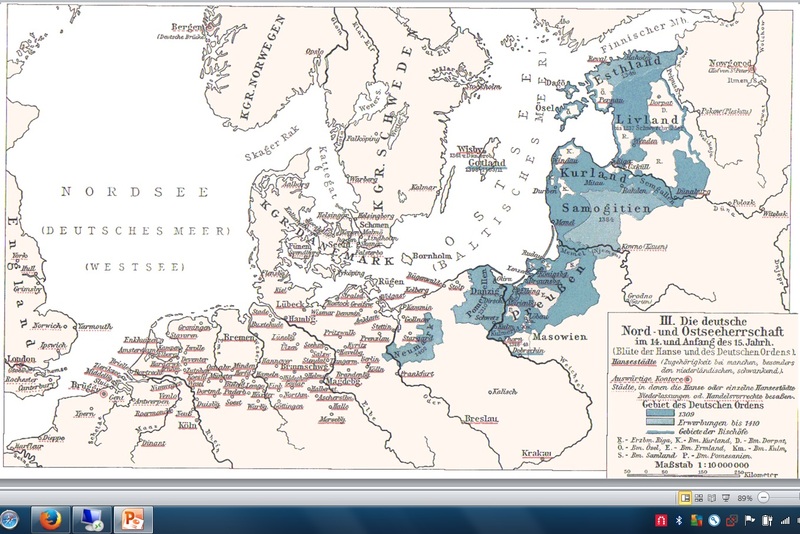 The Hanseatic League…was a commercial and defensive confederation of merchant guilds and their market towns. It dominated Baltic maritime trade (c. 1400–1800) along the coast of Northern Europe. …The Hanseatic cities had their own legal system and furnished their own armies for mutual protection and aid. Despite this, the organization was not a state… Much of the drive for this co-operation came from the fragmented nature of existing territorial government, which failed to provide security for trade. Over the next 50 years the Hansa itself emerged with formal agreements for confederation and co-operation covering the west and east trade routes. The principal city and linchpin remained Lübeck; with the first general Diet of the Hansa held there in 1356, the Hanseatic League acquired an official structure. I’m not sure whether it would be accurate to say this is an example of private governance, but the Hanseatic League definitely was an example of voluntary cooperation among sovereign cities wanting peaceful trade. Schneider basically argued in favor of this “confederalist” approach and cited Switzerland and the United States as positive examples (at least during their early years). All of which is quite consistent with my view that centralization is the enemy of liberty. We need to make governments compete with each other. And when that happens, we’re more likely to get good policy.